Pockets and protection galore! 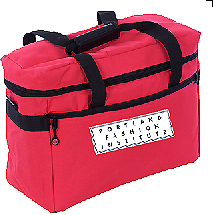 PFI bags come in all sizes and are perfect for toting your sewing supplies. Made in the USA. This just in. 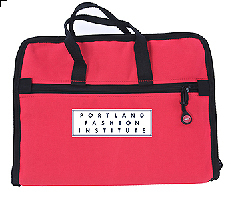 Order your PFI logo sewing bags and have exactly what you need to tote your projects. Choose one, two or all three. PFI19. Wheeled Sewing Machine Carrier. Perfect for your sewing machine + tons of pockets. PFI18. Project Tote. 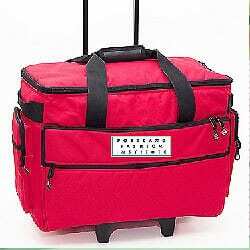 Use this for carrying everything from fabric to patternmaking tools to a small sewing machine. PFI12. 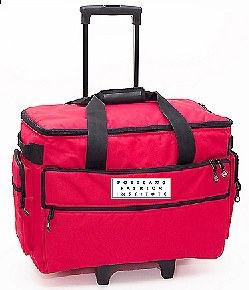 Our notions bag gives you a place for every tool so they are easy to carry, easy to find. PFI-IN. Purchase extra pages for your notions bag for $14 each. 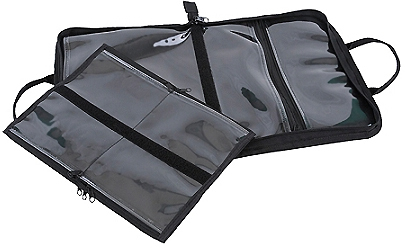 Zippered, durable see-through pages makes everything easy to store, easy to find. All prices are will call at Portland Sewing. Click here for shipping.